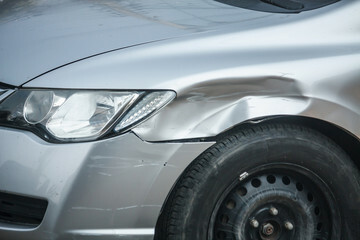 We are fully equipped for all car body repairs including insurance work. From paintless dent removal to extensive accident work we can restore your car professionally without it costing the earth. Call 01623 835825 for a quotation now! From minor scratch repairs to a full respray we have state of the art spray ovens with the latest equipment in paint matching and application techniques on hand. We can repair all typles of bumpers including textured and colour coded bumpers to a professional standard at reasonable rates, so that little bump will soon be a distant memory. 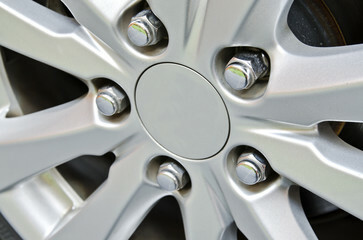 Our alloy wheel repair specialists can remove scratches, dents and corrosion from your wheels and repair accident damage. We can even re-colour your alloys for a whole new look! 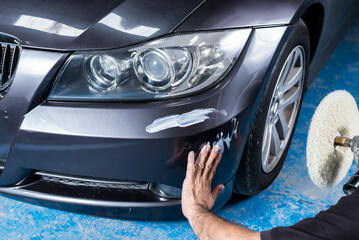 Professional car body repairs and resprays – scratches and paintwork damage to your car is unsightly, upsetting and devalues your vehicle – you need someone you can trust to repair the damage without charging a small fortune. 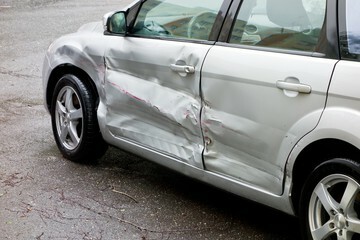 We can repair any body work damage including major damage to all panels. Our skilled technicians will return your car to you as good as new, whatever state we received it in! 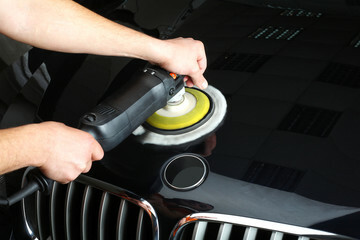 The Chip Wizard have the expertise to repair your body work and paintwork to it’s original condition – or better! We’re proud to say you won’t be able to tell you even brought your vehicle to us after we’ve professionally restored your accident damaged panels, paintwork, bumpers or alloy wheels to their former glory. 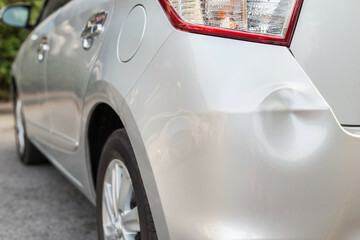 In the unfortunate event of your car receiving a minor bump or scratch, it’s often far cheaper for us to fix it for you, although we can accept work from any insurance companies if that is your preference. Give us a call, or call in to see our workshop in Boughton, Nottinghamshire, and take a look at our portfolio of work and let us assure you that your car body repairs are in safe hands.